The Backstreet Boys picked up their Vegas residency at Zappos Theater in Planet Hollywood again on October 24th and Nick Carter has been going full steam ever since! Nick, AJ and Howie took a night off from the Backstreet Boys residency to attend Grant A Gift Autism Foundation’s 2018 Gala and Silent Auction. Grant A Gift works in Las Vegas to provide family-centered care to those with autism to help them become more independent adults. The Backstreet Boys tricked and treated the audience on Halloween by throwing it back to their “Everybody (Backstreet’s Back)” music video and wearing their iconic costumes. In the same week, Billie Lourd (American Horror Story, Scream Queens) and Andy Cohen (Watch What Happens Live) were also in the crowd and brought onstage to be serenaded! Read all the details and see the photos here. 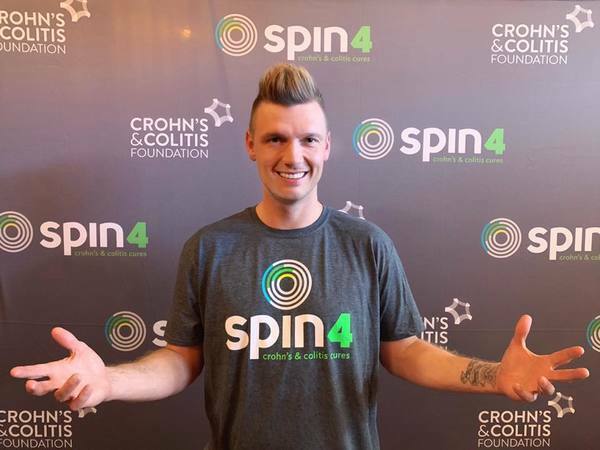 Nick teamed up with the Crohns and Colitis Foundation to “party on a bike” and raise money for research and awareness for these diseases at Trufusion in Las Vegas before the BSB concert on Friday. Not only did he express his excitement to continue working with the Foundation and spin events in the future, but in true Backstreet fashion, also taught a local news anchor the “Everybody” dance before hopping on a cycle to spin for a cure! After a few successful afterparties (find photos here and here), Nick has decided to keep the party going at Chateau in Las Vegas! He and Howie D. will be partying with fans on the rooftop after their show on November 10th and 17th, closing out the 2018 BSB Vegas shows right. Tickets are available now and they are limited! The Backstreet Boys are releasing their new single, “Chances”, on Friday, November 9th. Click here to find out more about how to presave the song to your Spotify and how to share your #WhatAreTheChances story! Last but not least, we celebrated the 16th anniversary (!!) of the release of Now Or Never last week and many of you have been quickly purchasing the NoN anniversary tee. If you haven’t yet, but you think you’re going to want it -- don’t wait! The shirt is limited edition and once it is sold out, it will not be restocked. 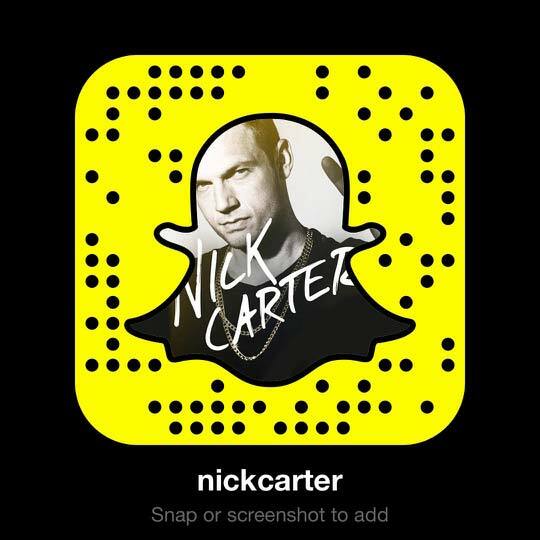 As always, if you are a Nick Carter FC member, please share your stories and experiences! You never know who will end up in your comments. What are you most excited about? Sound off below! I just love your music and have for 21 years..your are without a doubt the greatest group in history to date. Your caring and the most caring group of guys . Don’t ever stop ?????? So excited for all, what's coming! And so proud of Nick doing all these things! He's really a great idol for all of us!